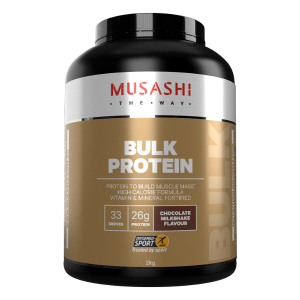 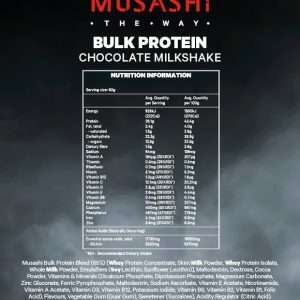 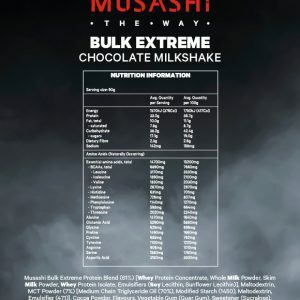 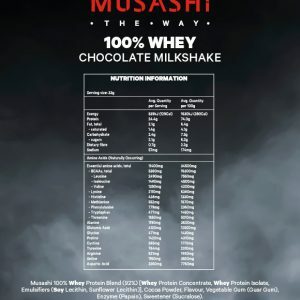 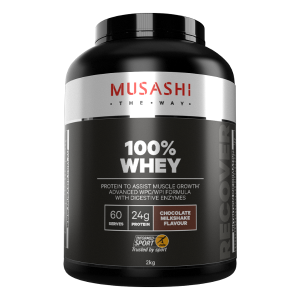 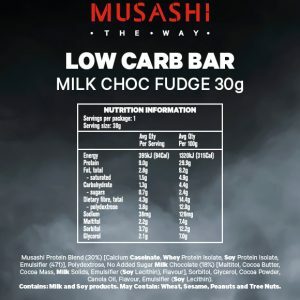 MUSASHI SHRED AND BURN™ is an optimised protein powder providing you with a powerful blend of active ingredients designed to support your lean muscle goals. 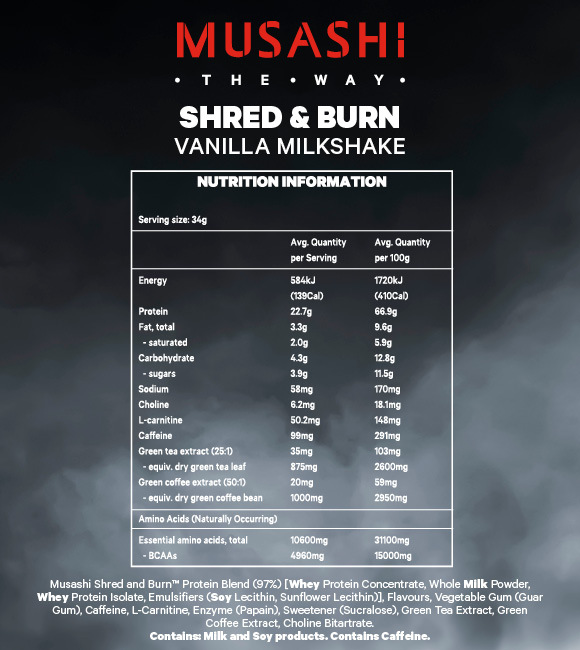 MUSASHI SHRED AND BURN™ is scientifically formulated using whey protein concentrate and whey protein isolate in an advanced muscle shredding complex. 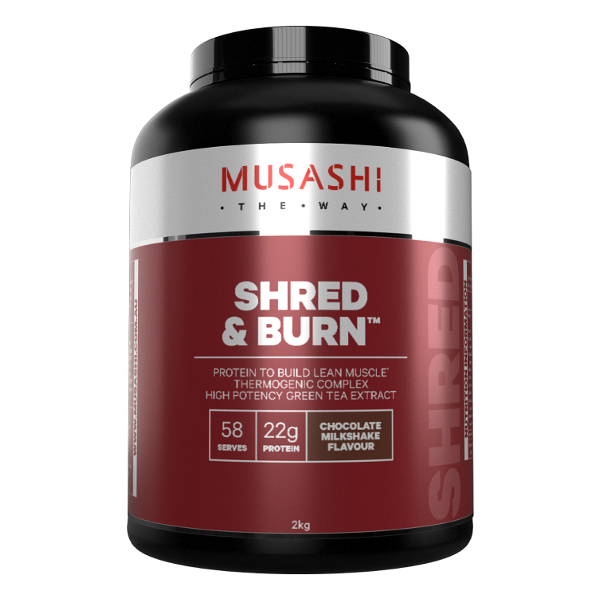 This lean muscle formula is enhanced with key SHRED AND BURN™ ingredients: Carnitine and Green Tea extract to support your goals in a delicious formula that tastes great and mixes with ease.